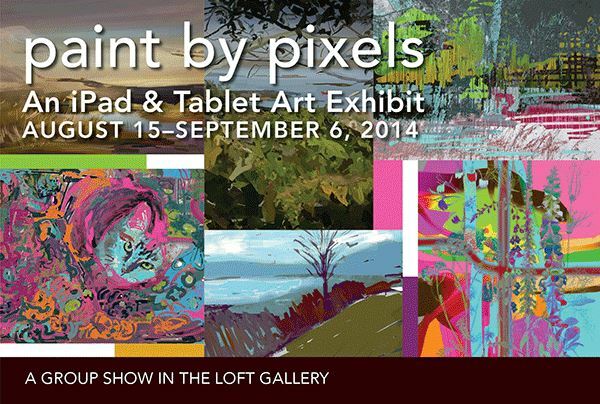 The Paint By Pixels exhibition focuses exclusively on digital art created on tablet devices, such as the Surface Pro 2 and iPads. It aims to celebrate the flexibility and creativity of this emerging medium, and has had an impressive response. The exhibition features a wide range of paintings from artists around the world, using a variety of creative apps including ArtRage, Procreate 2 and Brushes. The exhibit is sponsored by the Delaware Valley Arts Alliance, the Arts Council for Sullivan County, NY, and by a grant from the New York State Council on the Arts with the support of Governor Andrew Cuomo and the New York State Legislature. We sponsored an opening night raffle for ArtRage 4.5 (released last week, in case you missed it), and there is a second raffle at the end of the exhibition for the ArtRage for iOS (iPad and iPhone) app. Want to drop in at The Loft Gallery and see the exhibition? 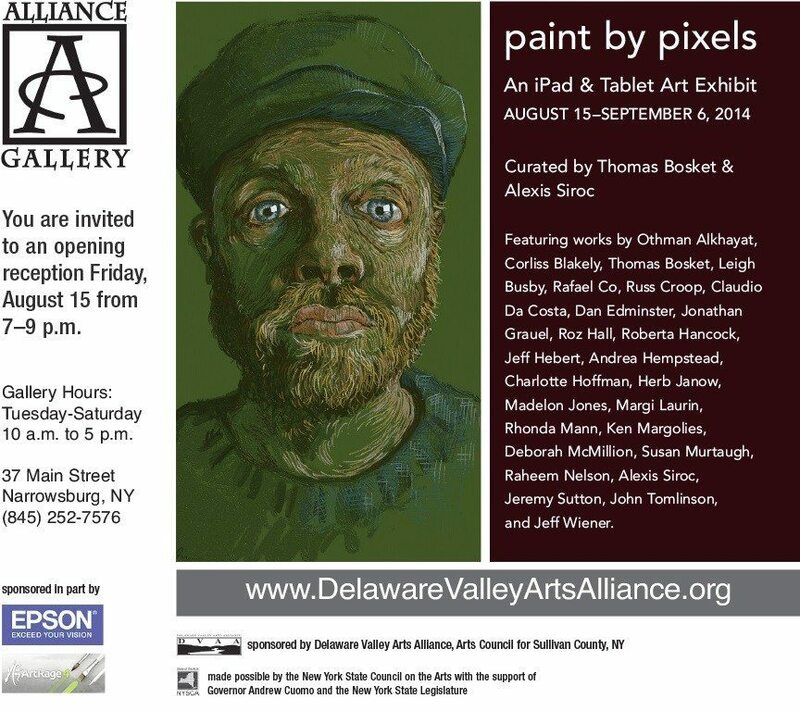 For more details, check out the In The Loft Gallery Announcement or Delaware Valley Arts Alliance on Facebook.